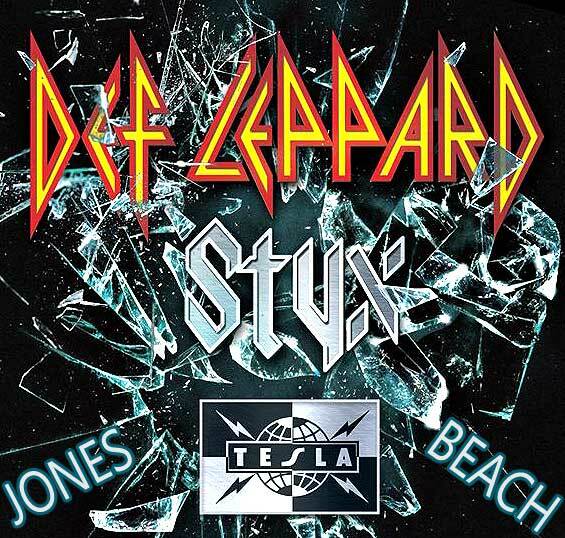 After spending last year on the road as special guests for Kiss, Def Leppard will be back atop the bill this summer and taking Styx and Tesla along for the ride, with a stop at Jones Beach July 23! Elliott says there are 15 songs “on the go” for the set, which he considers “remarkably strong” and predicts will sound both familiar and fresh when it’s finally out. “It’s very varied,” Elliott says. “It sounds like Def Leppard, but it sounds like Def Leppard stretching their wings a little bit. There are a couple of songs tied to our DNA, instantly recognizable as us, and some of the stuff that’s not so much like that and represents who we are now, a band that’s in their early- to mid-50s, the kind of music they should be making without it sounding old and farty. We’re not trying to write 24-hour party songs at our age; that would be silly.